Visual Aids and storytelling techniques that take students through the facts of the Bible lesson to "What does it mean to me?" 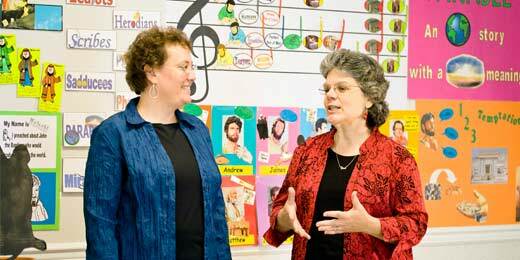 That philosophy of teaching has been behind this teacher's workshop for nearly 16 years. The instructors' fervent desire is to help every lady who attends learn new presentation skills and more effective applications for every Bible lesson.
? Dozens of visuals, props, teaching aids, etc.
? A passion for teaching God's Word that cannot be stopped (Jer. 20:9).